Blood Sisters tells the story of Jeong Yeoul, a young Korean college student in the 1980's, when the memory of President Chun Doohwan's violent suppression of student demonstrations against martial law was still fresh. Yideum captures with raw honesty the sense of dread felt by many Korean women during this time as Jeong struggles in a swirl of misguided desires and hopelessness against a society distorted by competing ideologies, sexual violence, and cultural conservatism. Facing this helplessness, her impulse is to escape into the world of art. Blood Sisters is a vivid, powerful portrayal of a woman's efforts to live an authentic life in the face of injustice. 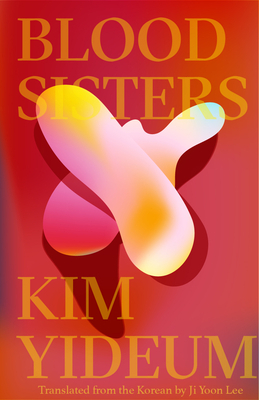 Kim Yi-Deum has published five books of poetry - A Stain in the Shape of a Star, Cheer up, Femme Fatale, The Unspeakable Lover, Song of Berlin, Dahlem, and Hysteria - and the novel Blood Sisters. Her work has been adapted into a play (The Metamorphosis, 2014) and a film (After School, 2015). She has received numerous awards for her poetry, including the Poetry & the World Literary Award (2010), the Kim Daljin Changwon Award (2011), the 22nd Century Literary Award (2015) and the Kim Chunsoo Award (2015).Ji yoon Lee is a poet and translator whose most recent publication is Poems of Kim Yideum, Kim Haengsook, and Kim Minjeong, the collection of contemporary Korean poetry (Vagabond Press, 2017). She translated Korean feminist poet Kim Yideum's Cheer Up, Femme Fatale (Action Books, 2015), which was shortlisted for Lucien Stryk Prize. She is also the author of Foreigner's Folly (Coconut Books, 2014), Funsize/Bitesize (Birds of Lace, 2013), and IMMA(Radioactive Moat, 2012). She received her MFA in Creative Writing from the University of Notre Dame.